This guide has been developed to assist intersection designers. The user guide provides and overview of the turning templates and road hierarchy. turning templates in DWG (AutoCad 2010) and PDF formats. The design vehicles included in this document provide guidance to cover most normal intersection designs. The vehicle turning path templates are plots of the vehicle wheelpath and the path traced by other relevant points on the vehicle or load. They show the swept path envelope resulting from various angles of turn at a particular radius. Two vehicles initially did not achieve the performance required to be allowed access to the road class that would be expected of the vehicle. These were the 26 metre B-double and the B-triple. These vehicles have been modified slightly so that they achieve the required performance, while still being representative of the vehicle fleet. 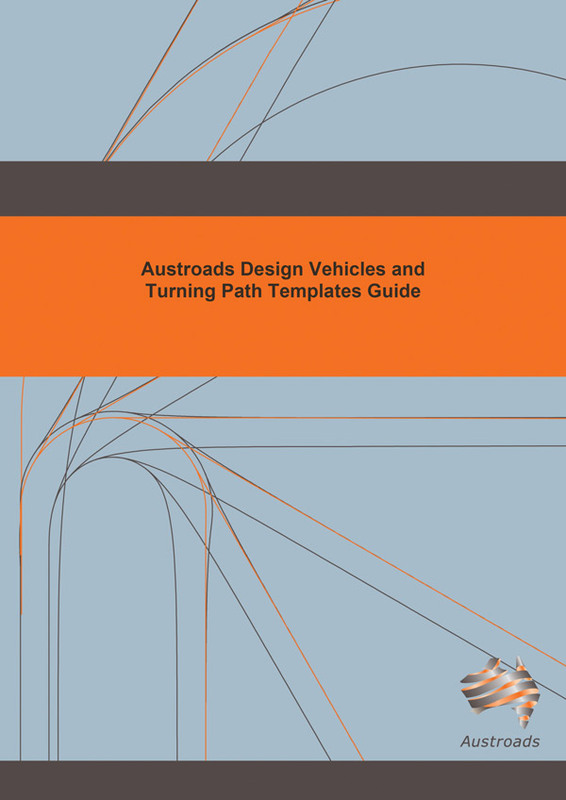 Both the Design Vehicles and Turning Path Templates Guide and the turning templates have been updated to be more consistent with the more recently released Austroads Guides, particularly the Austroads Guide to Road Design. Formatting issues identified in the second revision, such as inconsistent scale and poor colour choice, have been rectified.